Dr. Doula (Andrea Little Mason, Ed.D.) is an educator, scholar, researcher, speaker, and legacy builder who travels internationally to gain a greater understanding of the connectedness of women of African descent on the Continent and in the Diaspora. She encourages women to reach back to take hold of the best that previous generations have to teach, so they can be equipped to move forward and toward their full potentials. She shows them how to empower themselves by reclaiming and embracing indigenous knowledge and practices that have been lost, stolen, surrendered, abandoned and forgotten. "SANKOFA" teaches us: "it is not taboo to go back and fetch what you forgot"... even if what you have forgotten is something as magnificent as BIRTH. What is the BLACK BIRTH RENAISSANCE? ​Just as a renaissance symbolizes the “rebirth” or “revival” of learning from an earlier period of time, Black birthworkers represent those who are embracing the traditional birth practices of healers who were systematically discarded and banned during the middle of the 20th Century in the United States. Today, Black women are participating in and fueling the Black Birth Renaissance of the 21st Century. We are equipping ourselves to help ourselves and heal ourselves in order to save ourselves. See some of the ways Black women are creating change around birth culture in the Birth HERstory BLOG. ​Here are some ways you can get involved, too. "CONNECTED BY BLOOD and BOUND TOGETHER BY BIRTH"
Education that acknowledges the contributions of women of African descent in birth culture is still scarce in modern birth culture. Dr. Doula addresses the parts of birth in America that have been lost, stolen, abandoned, forgotten and surrendered while issuing a charge about who is responsible for what and discussing ways that Black women can empower themselves to improve their birth outcomes. 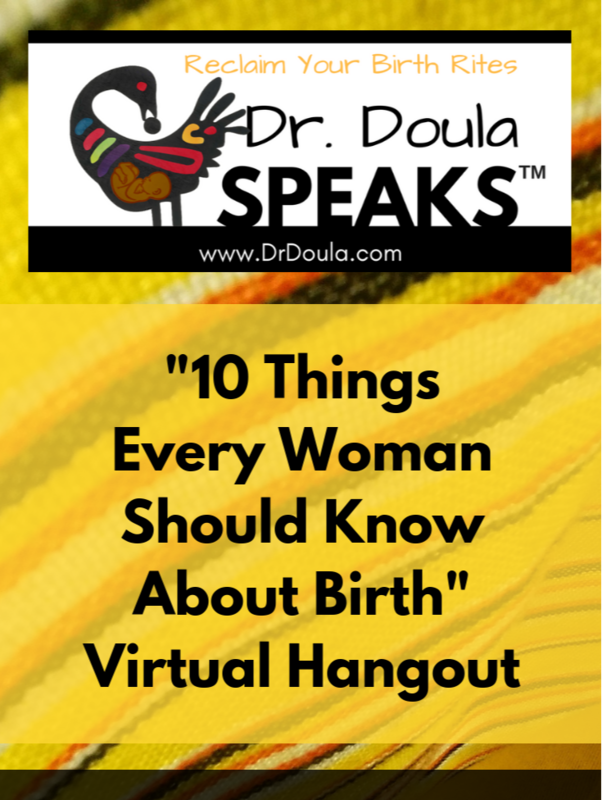 "10 Things Every Woman Should Know about Birth"
Let's connect and talk about BIRTH ​at a​ Virtual Hangout! Beautiful and authentic hand-crafted Zulu Beaded Jewelry and Kenyan Kikois from Dr. Doula's most recent trip to Africa. 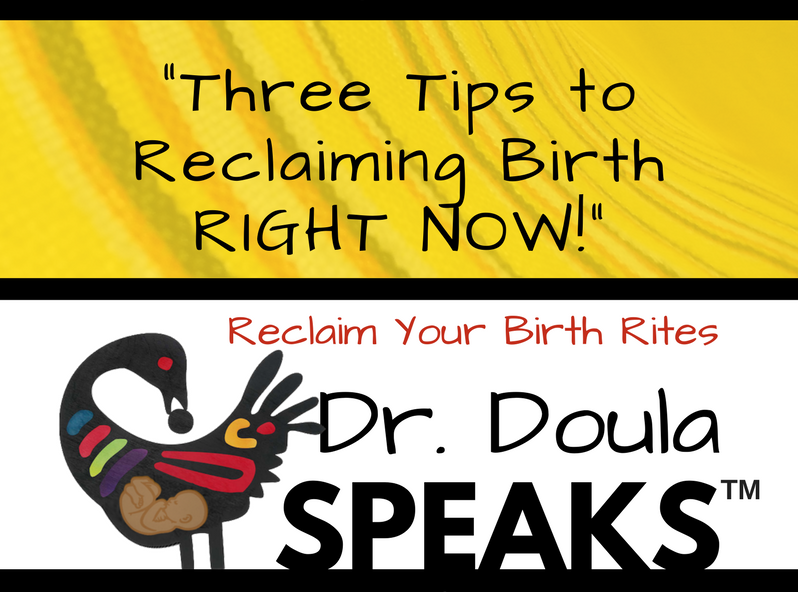 Find out what you can do RIGHT NOW to begin to recover traditions & practices to help you feel empowered during childbearing. Enter your email for instant access. Learn birthing "skills" from the comfort and privacy of your home that you and your partner need to manage your birth well. READ and SHARE birth traditions from mothers, grandmothers, aunts and other amazing women of African descent in your lives.